Amid Reliance Jio launching Diwali offer and Celebration packs, and Vodafone releasing long-term validity offers, Airtel has revised its Rs 399 postpaid plan. According to the change, which now reflects on both Airtel website, and on the My Airtel app, the Rs 399 postpaid plan now offers an additional 20 GB data to what it was offering earlier, bring the count up to 40 GB data per month. In addition to that, the Rs 399 plan now also offers free on year Amazon Prime subscription, which otherwise costs Rs 999. Earlier, that additional benefit only came with the Rs 499, Rs 649, Rs 799, and Rs 1,199 plans. 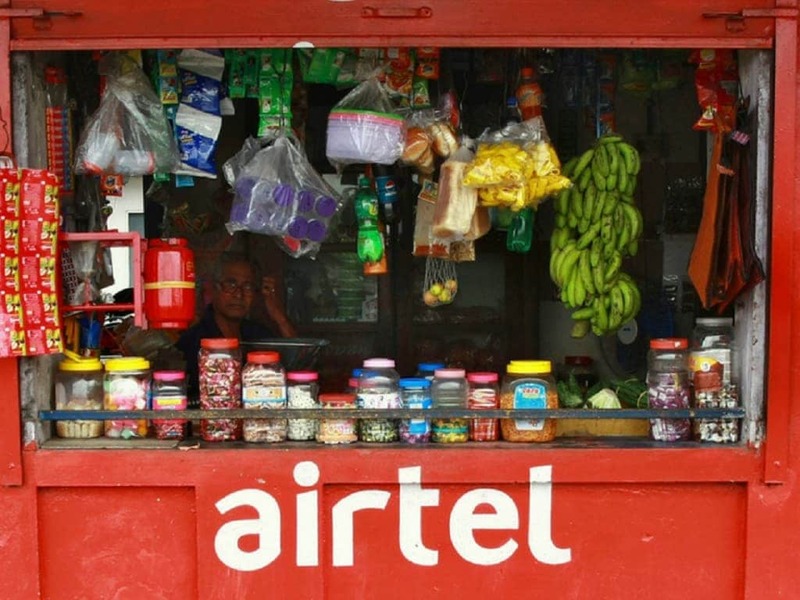 Airtel logo on a Kirana shop. To claim the offer, if you are a new Airtel subscriber, or you are using some other plan, you can head to the Airtel website, or to the My Airtel app to subscribe to the Rs 399 plan. If you are already on the Rs 399 plan, then, when you head to the My Airtel app, you will see an “Airtel Thanks” banner when you scroll down. When you tap that, your plan will automatically be updated with these benefits. Further, in order to get your 1-year of free Amazon Prime subscription, tap on ‘Claim Now’, and then on ‘Proceed’, and then follow the instructions. However, do note, that this offer is not available for those who already have Amazon Prime subscription. Besides the updated data and Amazon Prime subscription, the Rs 399 plan continues to offer unlimited local and STD voice calls, free calls on national roaming, and free access to Wynk Music. Airtel had been offering a free yearly subscription to Amazon Prime to select postpaid customers. This facility was being offered for postpaid plans of Rs 499 and above, but now the company has decided to extend this benefit to Rs 399 postpaid plans also. From now, all users who avail the Rs 399 postpaid plan will also get an annual Amazon Prime membership for free. Apart from the free Amazon Prime membership, the Rs 399 plan also offers 40GB of data with roo-over facility and unlimited local, STD and roaming calls. 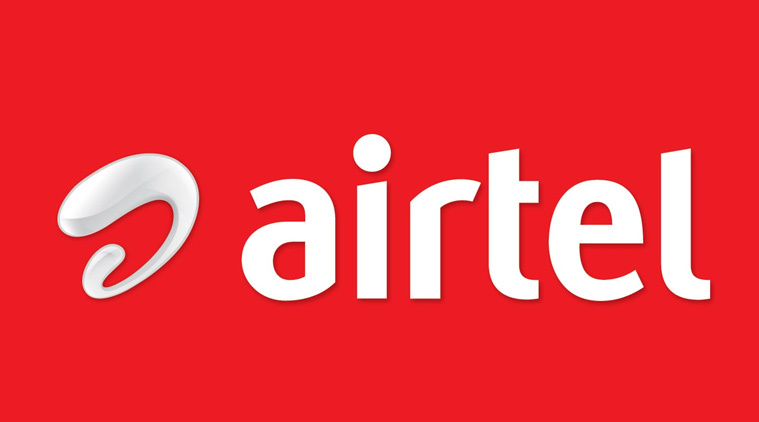 Notably, Airtel has recently revised the Rs 399 postpaid plan to bring additional 20GB of data. The plan also provides 200GB of data rollover facility along with free Wynk Music access. For availing this new offer, you can open the My Airtel app and click on the Airtel Thanks banner that will be available at the bottom. Upon clicking the banner, you will see the Amazon Prime subscription benefit. You can click on the Claim Now button to avail the benefit instantaneously. This move by Airtel to provide Amazon Prime subscription benefits to the Rs 399 postpaid plan is probably to rival Vodafone. It may be recalled that Vodafone already provides a free annual membership to Amazon Prime for customers availing the Rs 399 postpaid plan from the company. Now, Airtel customers in the country using the Rs 399 plan will also get the same benefits as Vodafone users. Notably, the Amazon Prime benefit is available to all customers using the Rs 399 plan in all the circles in the country. Meanwhile, Airtel has also introduced new combo recharge packs for prepaid customers in the Mumbai circle recently. These new combo recharge packs are priced from Rs 35 and go all the way up to Rs 245. These new packs have been rolled out to rival Reliance Jio that already has many economically priced plans offering both data and voice calling benefits. 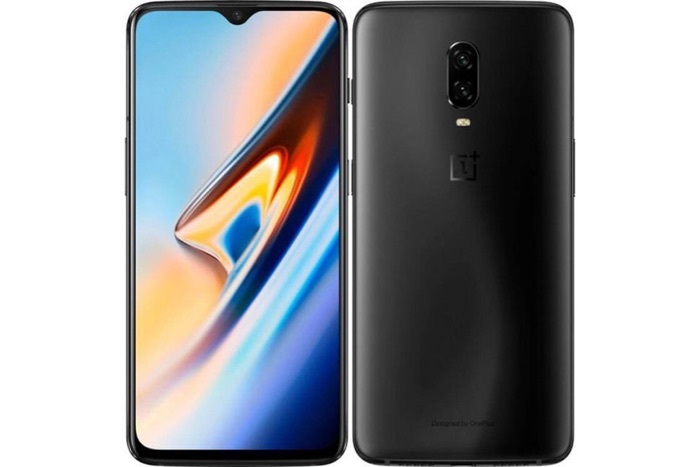 Vodafone has announced that they are now taking pre-orders on the new OnePlus 6T smartphone and prices for the handset start at £42 a month with a £29 up front cost. The handset is available on a wide range of monthly contracts with Vodafone including their Red Entertainment plans which start at £49 a month. The OnePlus 6T is now available to pre-order at Vodafone UK (www.vodafone.co.uk) – for £42 a month (£29 upfront cost) on a Vodafone Red Extra Plan, including unlimited texts, unlimited minutes and a massive 16GB of data. Alternatively, customers can pre-order the new device on a Vodafone Red Entertainment plan from £49 per month (£29 upfront cost). This includes unlimited texts, unlimited minutes, 32GB of data and a choice of Amazon Prime Video, Sky Sports Mobile TV, Spotify Premium or a NOW TV Entertainment Pass. You can now pre-order the new OnePlus 6T smartphone from Vodafone and you can find out more information at the link below. The handset launches next Tuesday the 6th of November. Verizon began its preparations for 5G years ago by densifying its 4G LTE network using small cell sites in highly-populated areas. The company’s current fiber-based network — a huge web consisting of 900,000 global fiber route miles as of August 2018 — will deliver data to Verizon’s millimeter (mmWave) 5G small cell sites scattered across the nation. In rural areas, Version will install fiber cable in 1,000-foot intervals. Overall, Verizon’s 5G rollout plan is the exact opposite of T-Mobile: Sell a fixed in-home 5G-based service first and launch a mobile 5G service sometime thereafter. T-Mobile is focusing on nationwide 5G coverage using long-range LTE Band 71 and two other short-range mmWave bands first, followed by an in-home service at a later date. While T-Mobile’s 5G service is based on industry standards approved by the 3rd Generation Partnership Project conglomerate (3GPP), Verizon is initially using its proprietary-yet-open 5G TF network standard. Verizon took this route because the company simply didn’t want to wait for the 3GPP 5G NR standard to make it to network equipment, devices, chipsets, and software. Once hardware, software, and equipment arrive using the 3GPP 5G NR standard, Verizon will update its “First on 5G” members for free. Meanwhile, Verizon’s other big competitor AT&T is pushing to bring mobile 5G to 12 large and mid-sized cities – including Atlanta, Charlotte, Dallas, and more – in 2018. The company will then increase that coverage to around 19 cities in 2019 and eventually expand its 5G network once it’s established the service in those 19 markets. A home network service is in the works too, which AT&T is currently testing in limited markets like South Bend, Indiana. The key takeaway from 5G is capacity in addition to faster download speeds. According to Verizon Communications chief executive Hans Vestberg, 4G can handle around 1,000 connected devices per square kilometer whereas 5G can handle one million. Meanwhile, 4G has a latency of around 200 milliseconds whereas 5G goes down to a mere 10 milliseconds. All that said, here’s what we know about Verizon 5G and what’s to come later. Verizon 5G uses the 28GHz and 39GHz bands, both of which are high-band millimeter wave (mmWave) frequencies. Verizon holds 76 percent of the available 28GHz band and 46 percent of the available 39GHz band. So far there’s no indication Verizon will use LTE Band 71 for long-range 5G coverage like T-Mobile. Verizon launched its 5G-based home networking service in parts of Houston, Indianapolis, Los Angeles and Sacramento on October 1. The company will build out its 5G coverage using equipment based on the 3GPP 5G NR standard when they become available. According to Verizon, Clayton Harris of Houston, Texas, became the very first 5G customer. Samsung will provide the initial hardware for Verizon’s in-home service. Depending on the customer’s location, the professionally-installed setup may consist of a compact 5G home and outdoor router, a 5G Radio (Access Unit, Digital Unit-integrated type) and virtualized radio solutions. You’ll also receive a free Apple TV or Google Chromecast device. According to Verizon, customers will see an average download speed of 300Mbps and a maximum download speed of 940Mbps with no data caps. By comparison, you can get a Charter Spectrum wired connection at 300Mbps for around the same price, but you’ll never see the maximum speed reported by Version. The company’s in-home service also boasts unlimited data, no annual contracts, no additional fees, no increases, no taxes and no additional equipment charges. It only supports data, meaning you can’t use the in-home service to make cellular calls and send texts. Even more, Verizon claims it won’t throttle data as seen with its current mobile 4G LTE “unlimited” data service. “In our testing, including rain and windy environments, there have been no indications of typical weather issues affecting 5G Home service,” Verizon states in its FAQ. The comment stems from a common problem seen with millimeter waves, as they can’t easily penetrate buildings and other obstacles. They can also be absorbed by plants and rain. Placing small cell networks throughout the city helps eliminate these barriers. Finally, Verizon’s 5G mobile service will launch roughly six months after its fixed 5G service. Current markets include portions of Houston, Indianapolis, Los Angeles, and Sacramento. Verizon will reveal availability in additional markets at a later date. The cost of the Verizon 5G Home network service is $70 per month, or $50 per month if you have a separate Verizon Wireless $30 phone plan. There’s no charge for the first three months, and you also get three months of YouTube TV for free. Google’s service will cost $40 per month thereafter. Verizon has not officially announced any plans and pricing for its mobile 5G service. Verizon teamed up with Ericsson to use its commercial 5G Radio Access Network software, which will allow Verizon to switch on its 5G network when ready. The software applies to Ericsson’s 5G-ready Ericsson Radio Systems, which now has a bigger footprint in North America thanks to an expanding 4G partnership with Verizon. They reached a milestone in July by deploying Massive MIMO transmissions in Irvine, California. Verizon and Motorola introduced a the Moto Z3 in August: The Moto Z3. This new smartphone ships with the 5G Moto mod, a snap-on adapter adding 5G connectivity when Verizon flips on the mobile service sometime in 2019. Voxon Photonics achieved the world’s first holographic communication using Verizon’s 5G network on the Los Angeles Convention Center show floor. The data only traveled 200 feet between Verizon’s booth and Ericsson’s booth, and consisted of a caller’s holographic face in a real-time conference video using an Intel RealSense depth camera. Verizon acquired Straight Path Communications in February for $3.1 billion in an all-stock transaction. Straight Path owns a large stockpile of 28GHz and 39GHz spectrum Verizon will use for its 5G services. In turn, 20 percent of Straight Path’s 39GHz spectrum was handed back to the Federal Communications Commission (FCC) due to a violation of the FCC’s buildout and discontinuance rules. The company also paid a $600 million penalty.